Beatus Corner : Gu Family Secret releases "fantasy-like" half-man half-beast Choi Kang Chi's official poster! 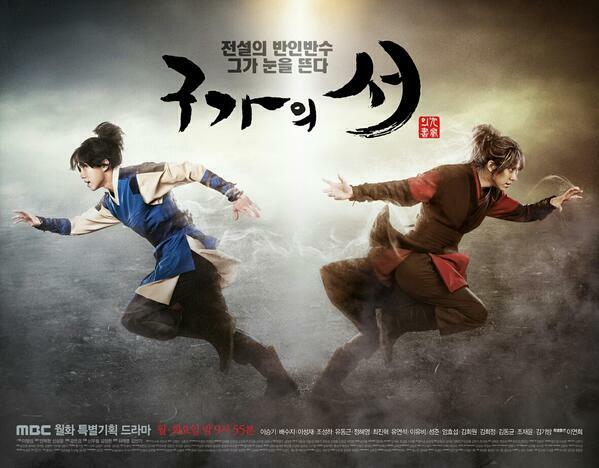 Gu Family Secret releases "fantasy-like" half-man half-beast Choi Kang Chi's official poster! One week before the premiere of Gu Family Secret, a fantasy action sageuk drama, MBC has released half-human, half-beast Choi Kang Chi (Lee Seung Gi) Teaser Poster. I'm looking forward to Kang Chi's journey as he embarks on a difficult path to find the sacred Gu Family Book so he can become a full human. Gu Family Secret premieres on April 8, 2013 and the press conference will be held tomorrow at 3PM.